This church would be way cooler if they just left it like this. It looks awesome. 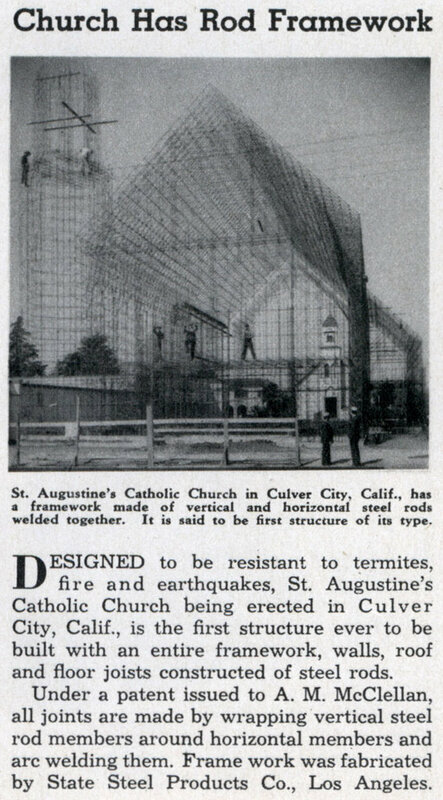 DESIGNED to be resistant to termites, fire and earthquakes, St. Augustine’s Catholic Church being erected in Culver City, Calif., is the first structure ever to be built with an entire framework, walls, roof and floor joists constructed of steel rods. 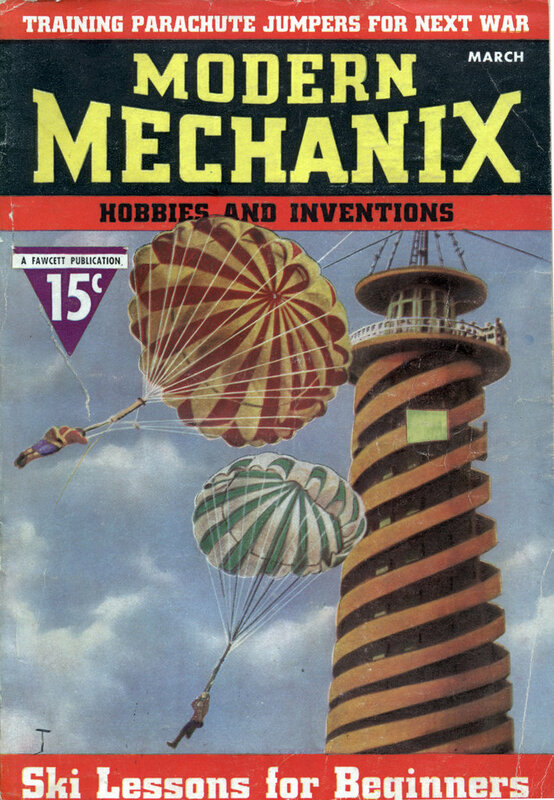 Under a patent issued to A. M. McClellan, all joints are made by wrapping vertical steel rod members around horizontal members and arc welding them. Frame work was fabricated by State Steel Products Co., Los Angeles.